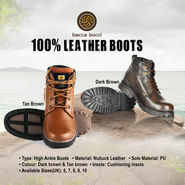 Bacca Bucci 100% Leather Boots is not available for purchase currently. Customers also show interest in below products. Look dapper with this classy High Ankle Dark Brown 100% Leather Boots by Bacca Bucci. 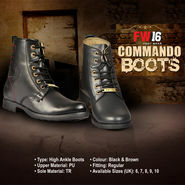 Made from NuBuck Leather, they are durable and breathable to keep your feet warm and fresh all time. 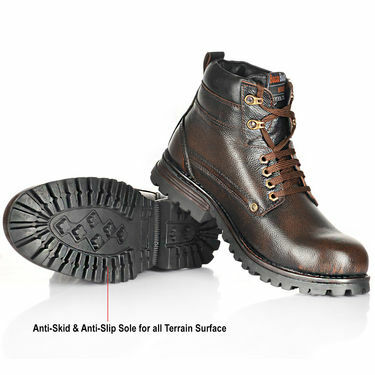 The cushioned insole, collar, and tongue of the shoes allows you to wear comfortably even for long hours. 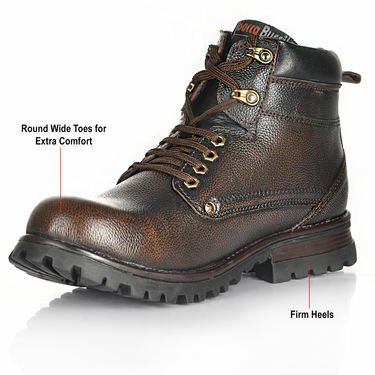 It also features firm heel counter and steel toe cap that prevents toes crushing in crowds. 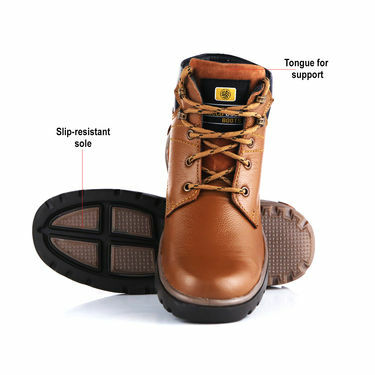 The excellent outsole is designed for anti-skid and anti-slip on all terrain surfaces when traveling, trekking, biking or any adventurous sports. Create a lasting impression at the events, as this classy pair of shoes goes well with your Denim, Khakis, Chinos and so on. Bacca Bucci 100% Leather BootsVSBacca Bucci Boots + Aviators Comb.. Bacca Bucci 100% Leather Boots VS Bacca Bucci Boots + Aviators Comb..